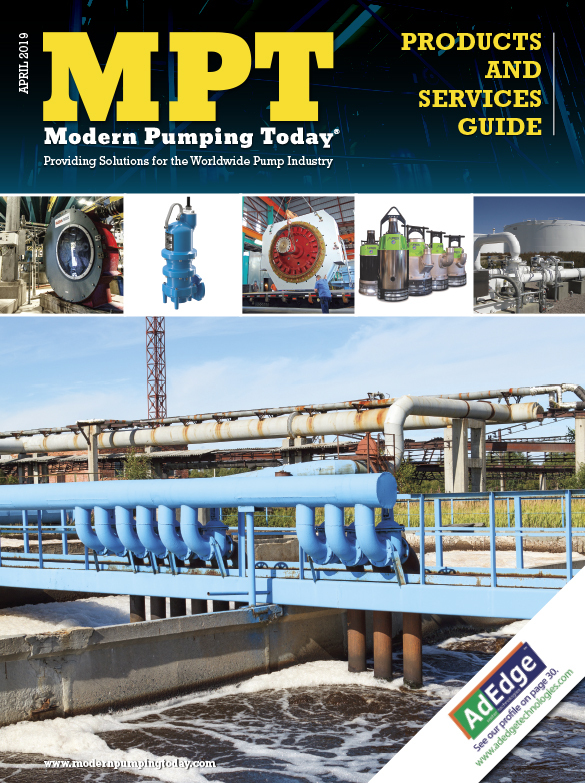 Treatment and removal of industrial wastewater is a constant concern in the food processing sector, as well as other industries. The twin concerns of meeting environmental regulations and incorporating into municipal infrastructure have to balance out with each industry’s production process. 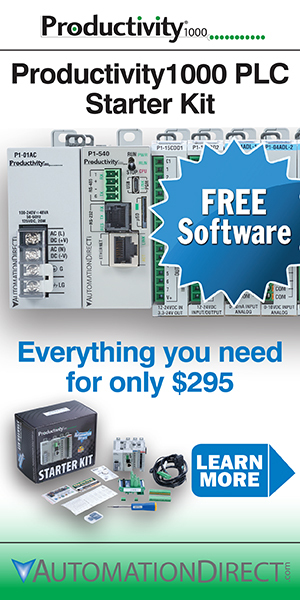 Thankfully, World Water Works, Inc. has been providing systems that meet these challenges. In 2016, the egg processing facility of a leading U.S. marketer of premium, further-processed egg products was given a consent order by the local government to treat its wastewater for biochemical oxygen demand (BOD), total Kjeldahl nitrogen (TKN), and total suspended solids (TSS) prior to discharge to the local municipal treatment facility. 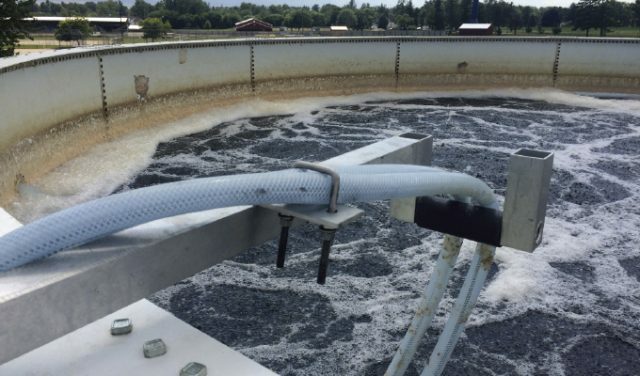 Additionally, the host city greatly limited the allowable chemical usage in the facility’s wastewater treatment process for fear of disrupting the city’s activated sludge treatment system. With the consent order deadline quickly approaching, World Water Works, Inc. provided a 500 gallons per minute dissolved air flotation (DAF) rental system in order to immediately address and comply with the TSS limits as well as significantly reduce BOD and TKN. The DAF rental system would temporarily satisfy the city and allow the facility to continue operations while a permanent system was engineered, manufactured, and installed. Though challenged with high and variable loadings and a limit on the allowable chemical dosage, the DAF rental system performed extremely well due to its innovative design, five-micron bubble size, and a flexible, efficient onsite chemical program. Following the installation of the temporary DAF system, World Water Works provided a complete treatment process solution to bring the facility’s wastewater discharge into compliance with city regulations. 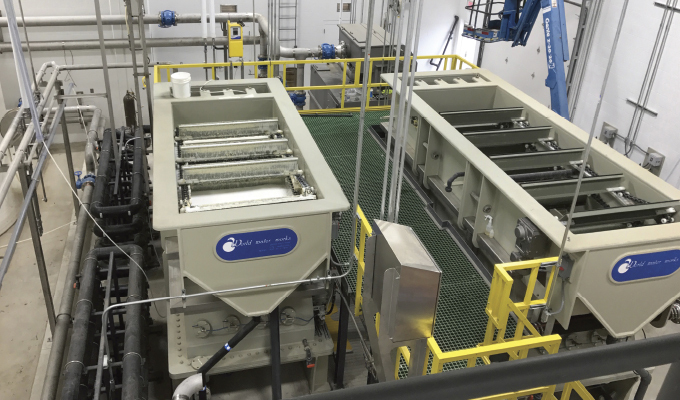 The new, robust treatment process consists of a primary treatment DAF system, first stage moving bed biofilm reactor (MBBR) for BOD removal, second stage MBBR for nitrogen removal, and a secondary DAF for final clarification of biological solids. This allows the facility to maintain discharge below permit limits while also handling strenuous conditions due to volatile loadings, variable flows, and high dosages of CIP chemicals. Slight adjustments were made to the DAF rental system already onsite to serve as the permanent primary DAF system, saving a significant amount of money as well as allowing the company to install the permanent system without shutting down production. The Ideal DAF-MBBR™ process fit easily into the footprint available and is simple for non-licensed operators to manage. The Ideal DAF-MBBR™ process exceeded the provided process guarantees by regularly providing TSS, BOD, TKN, and NH3 levels in the single digit range. 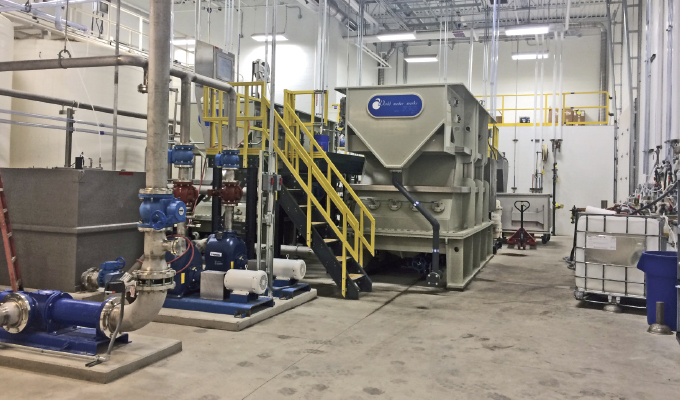 After startup completion, optimization, and training support, the facility’s wastewater operations team can now easily manage the wastewater treatment system and continue providing clean, safe water to the city. Justin Olson is a regional industrial sales manager for World Water Works, Inc., an innovator in the wastewater treatment industry. World Water Works, Inc. is driven to help industrial and municipal customers find wastewater treatment solutions that deliver clean water, perform better, recover resources, and save money. Working hand-in-hand with our customers, we design, build, implement, and optimize our wastewater treatment systems, having successfully done so for industrial and municipal customers on every major continent. Through our products and technologies, we help customers achieve cost-effective performance, resource recovery, and yield the highest water quality. For more information, call 800.607.PURE or visit www.worldwaterworks.com.